ICV deployed multiple Live Webcasting video players and streaming webcasting portals for clients in California, and Pennsylvania this week. 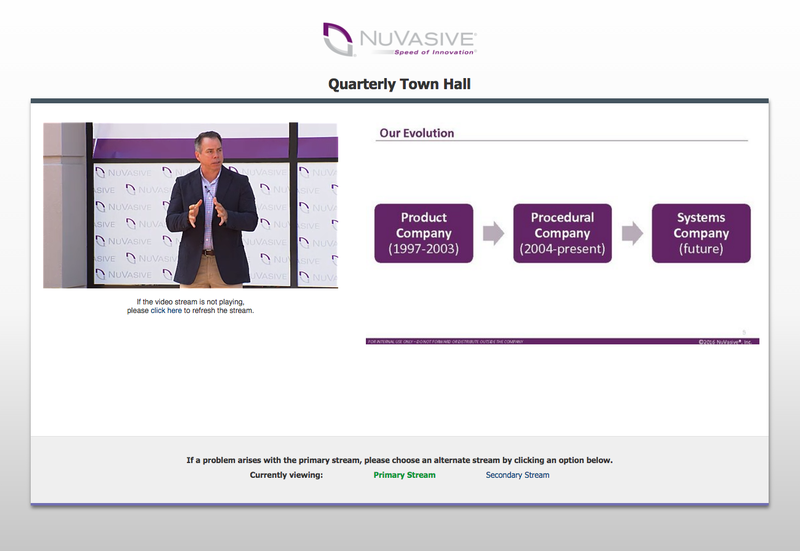 Webcasting in San Diego for NuVasive- an innovative medical device company developing minimally disruptive surgical products and procedures for the spine – ICV web developers quickly built a secure media portal and HLS mobile friendly video players. Incorporating HD video and synchronized slides the webcast went live to a global audience at 9:00AM sharp. The webcast was viewed live across the country and an archive for On-Demand viewing was saved in teh Media Portal we provide as part of our live webcasting service. NuVasive sees the benefits of using ICV’s all -in-one webcasting service. 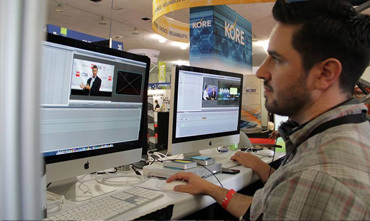 Web development, production and all technology is included in what we offer to our webcasting clients. No other webcasting company offers the complete package you need to easily integrate live webcasting into your communication, training, HR or messaging workflow. No staff, no IT hassles, we do it all. Our other webcasting crews deployed to San Jose nearby our Pleasanton Studio for 2 webcasts; Fireeye, and Marketo. Townhall Webcasts and Quarterly Update Webcasts for both. Another live webcasting crew flew to Pennsylvania for a webcast with Cotiviti. We have full time web developers, engineers, technicians and video production personnel on the West Coast as well as the South and in Washington DC. 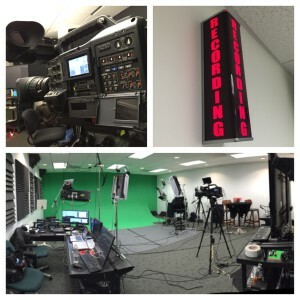 If needed we have a full green Screen 2500 video studio where we also can webcast from.